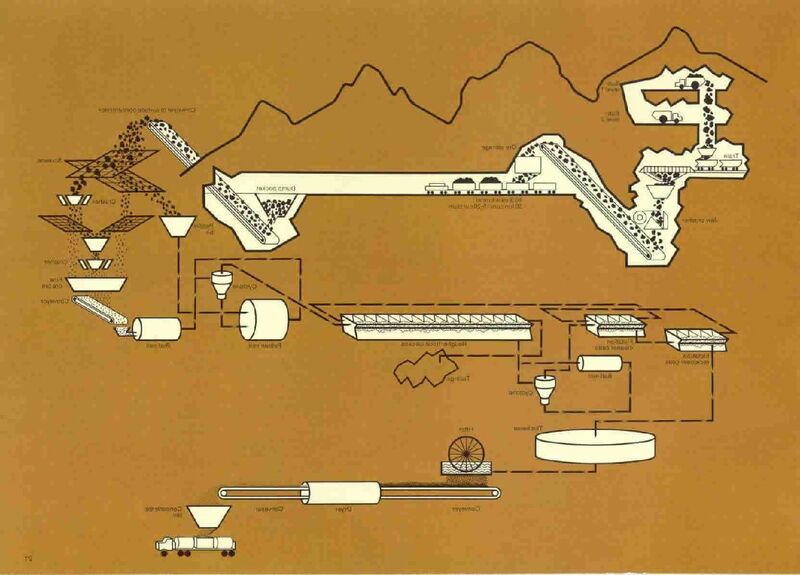 After careful study, Newmont's engineers concluded that developing Granduc was feasible, technically and economically. However, it was apparent that problems of terrain and weather would prevent building a concentrator at the mine site. The nearest possible concentrator site accessible from Stewart was over ten miles from the mine, straight through the mountains. The cost of the entire project was estimated at $55 million, and for such an expenditure, Newmont and Granby decided to seek loans and partners. In June, 1964, agreements were signed providing for the financing of the $55 million. In addition to a bank loan of $30 million, Hecla Mining Company purchased an interest in Granduc for $10 million, and American Smelting and Refining Company agreed to make advance payments of $10 million for the concentrates the mine would produce. Newmont entered into a long-term management agreement with Granduc and together with Hecla agreed to give certain guarantees concerning the completion of the project. The following description of the general geology of the Granduc area and the geology of Granduc Mountain was prepared some years ago by Dr. G.W.H. Norman, consulting geologist for Newmont Mining Corporation, and J. McCue who, at the time of the compilation of the following material, was a geologist for Newmont.